Now that summer is finally here, we have been drinking a lot of juices, iced teas & smoothies. Oh how I love ice cold drinks on hot days. At one point we used to drink a lot of aerated drinks but now a days we try and stick to healthier options. So when Alpro approached me to try out their soya milk, I wanted to do a smoothie with this healthy milk. I used peaches & strawberries to make a summer smoothie. It was yum and has become our favourite breakfast smoothie. Let me share this quick smoothie recipe with you. It's a thick smoothie and tastes awesome when served chilled. 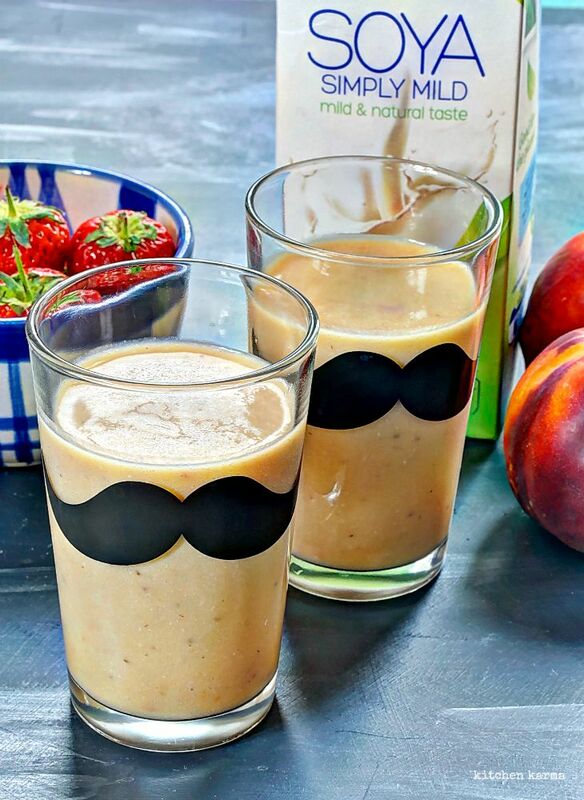 The peaches make the smoothie sweet so you won't need to add any sweetner, while the strawberries bring a slight tartness and balances the drink. 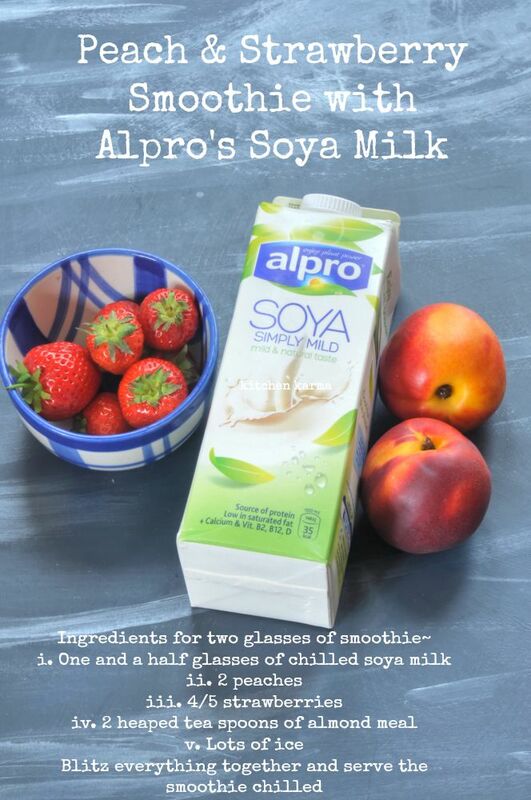 I prefer making this drink with Alpro's soya or almond milk, because I feel dairy milk may go bad with the addition of the tart strawberries. 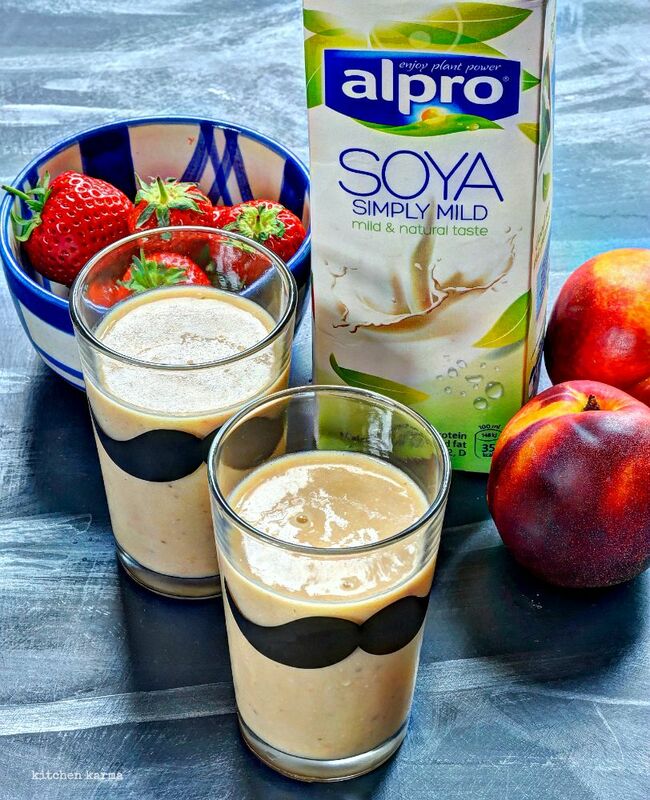 The soya milk brings it's own subtle taste to the smoothie while letting the fruits dominate. Because of the almond meal the smoothie becomes pretty filling and will keep you going till lunchtime. Give it a try I am sure you will enjoy it too.